AWESONE ALPINE TOURING AND BACKCOUNTRY CAMPING. Alpine camping with Heli access. Campsites are cozy expedition-style tent camps, backed up with snow caves (or a mountain hut). The campsite locations are stunning high-altitude ridge crests. Wake up to fiery sunrises, before skiing/riding untamed big mountain terrain – usually only visited by heliskiers. 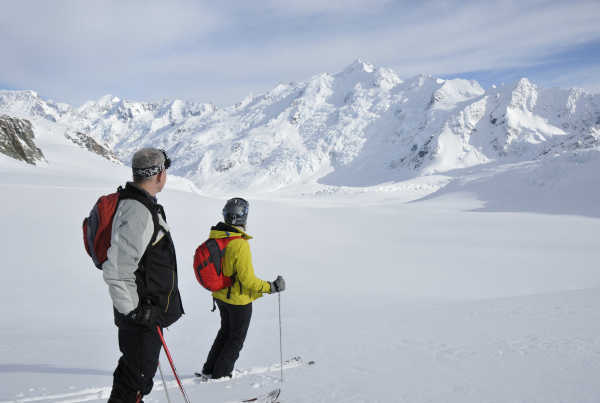 Steep White 3 day ski touring trips Staying in alpine hut. With SteepWHITE – its possible to wear yourself out with so much ski touring as the hut is at 1880 m with runs possible beneath and above the hut. Runs possible are 550 – 600m in length. The site gets a lot of snow with fronts from the both the south and the north west. 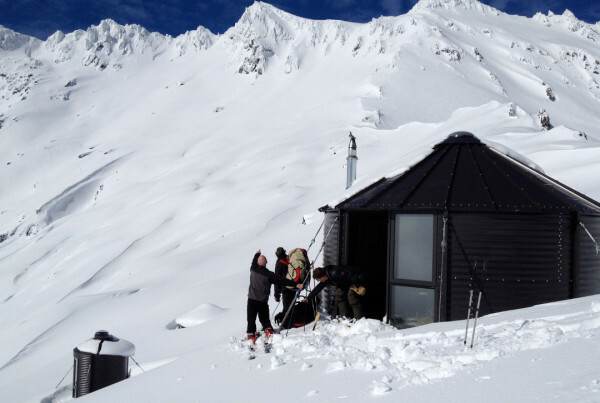 Accommodation – 3 days 2 nights high high on the north slopes of Mt Larkins in Steep WHITE hut.